We are experts in caring for clients with Alzheimer’s Disease and Dementia. 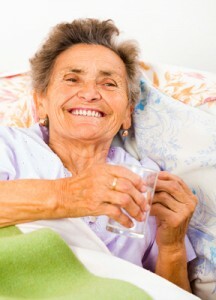 We focus on differentiating the effects of the 4D’s in the elderly: Dementia, Delirium, Depression and Drugs. We know how to deal with their high-risk behaviours and we continue to train in providing loving, non-invasive care to these sensitive individuals by understanding their disease processes and needs.